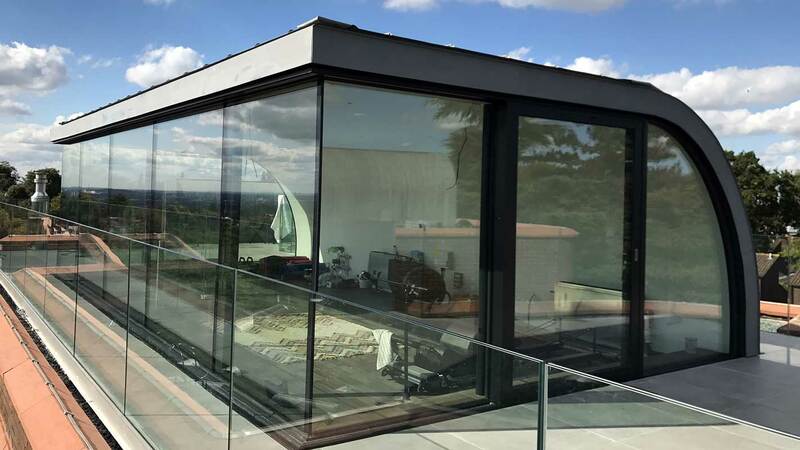 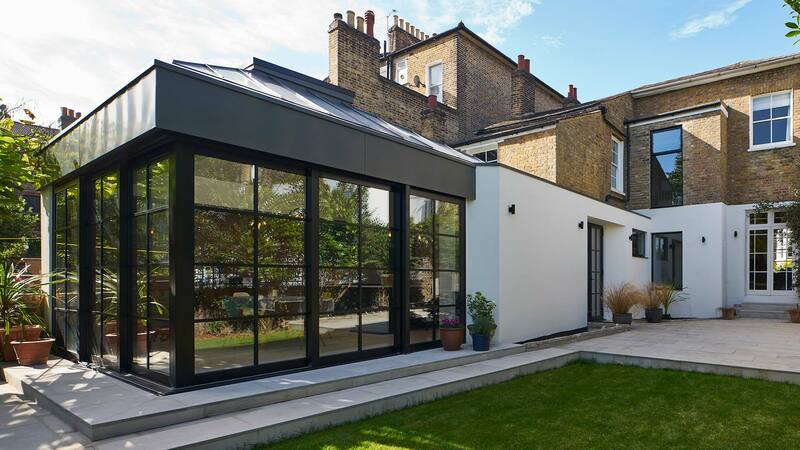 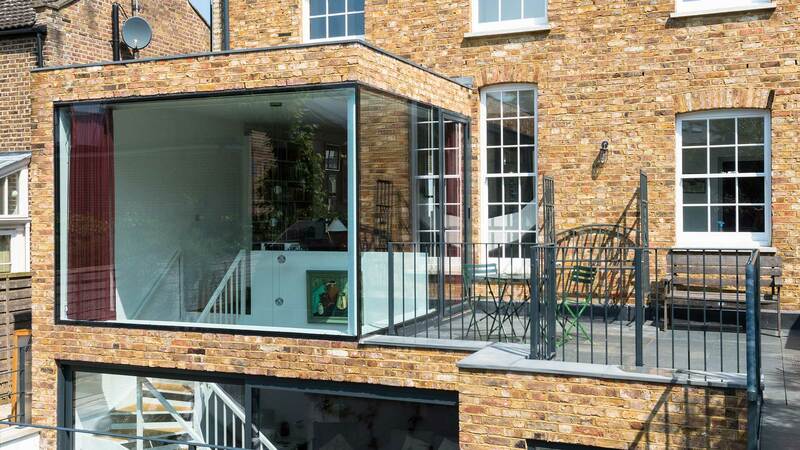 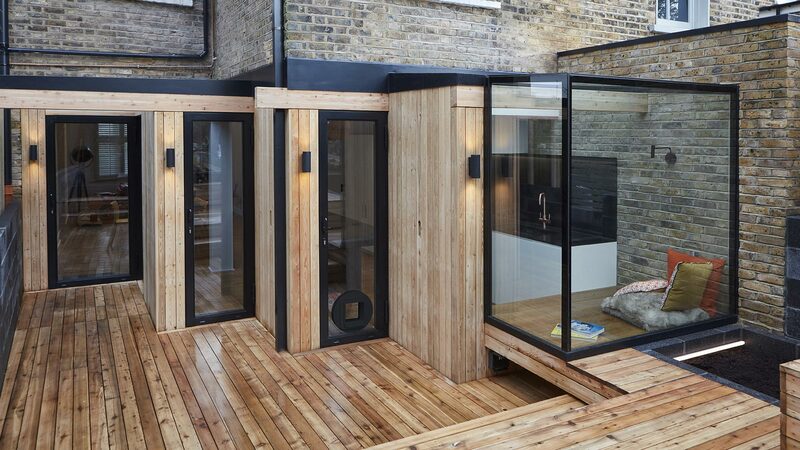 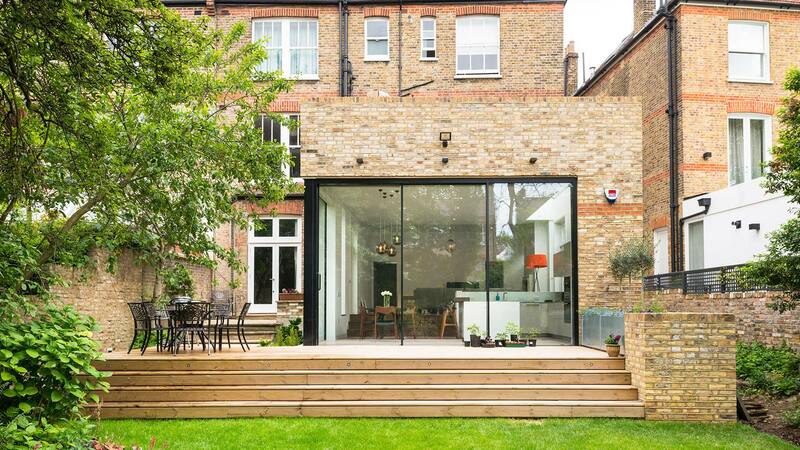 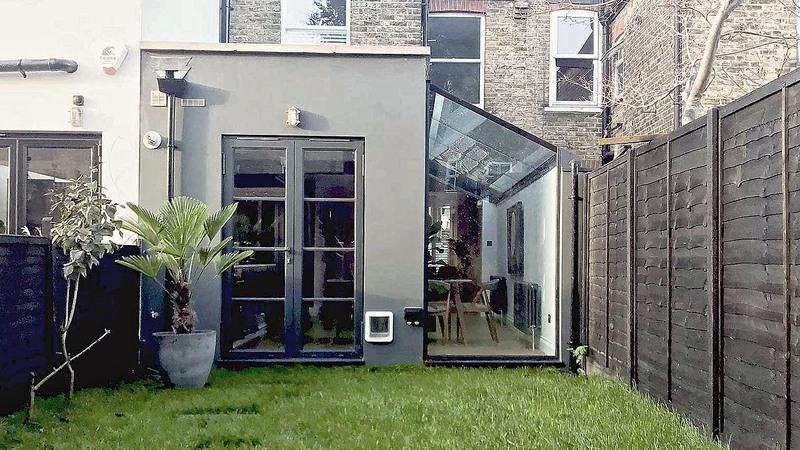 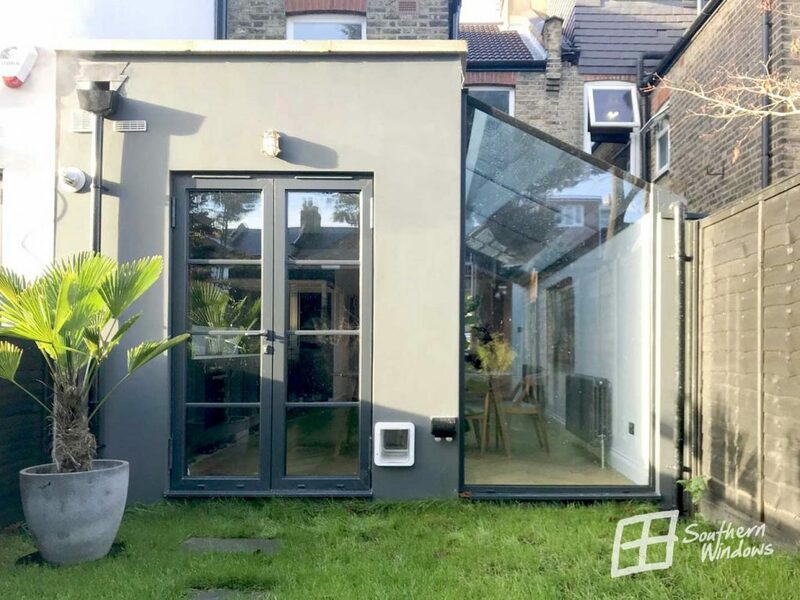 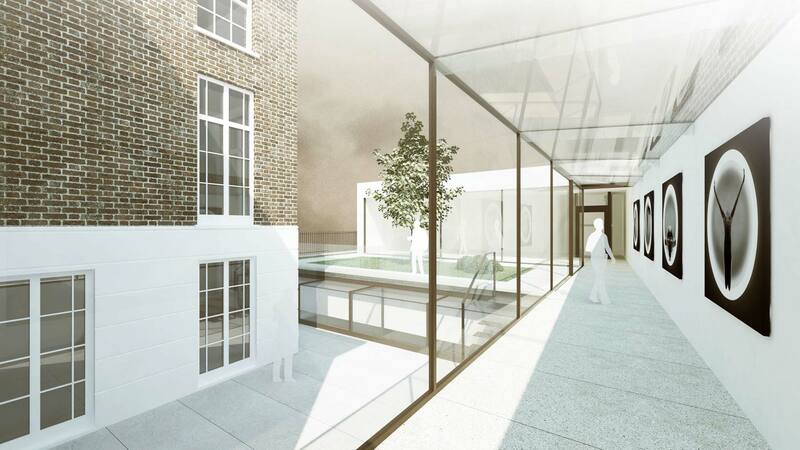 This Victorian terraced property renovation was enhanced by addition of a wow-factor glass box side return extension with slim aluminium frames. 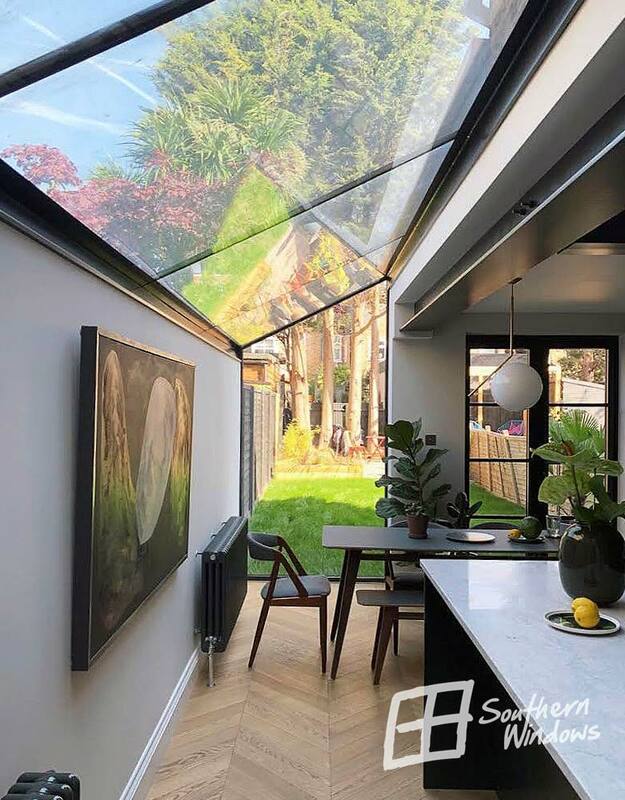 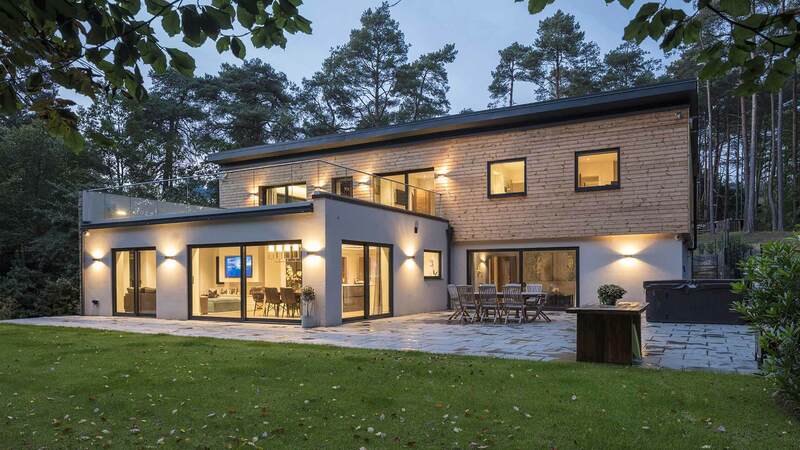 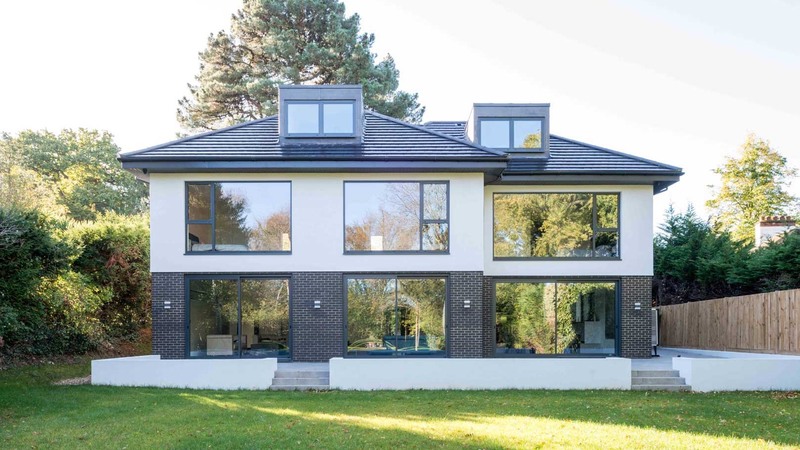 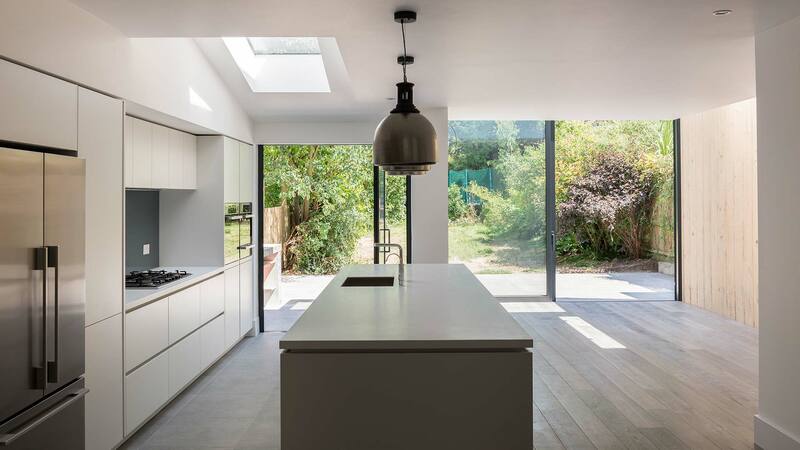 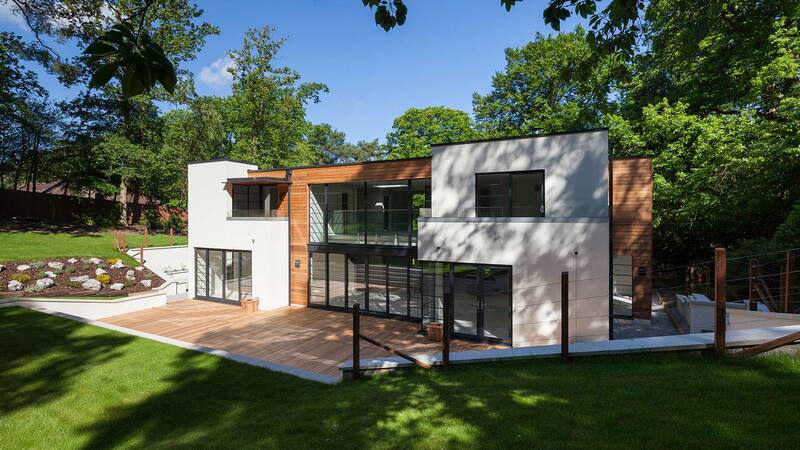 Large spans of glazing were ideal for creating a strong connection with the garden, boosting that indoor-outdoor feel and helped to maximise the amount of natural light in the living room / kitchen area. 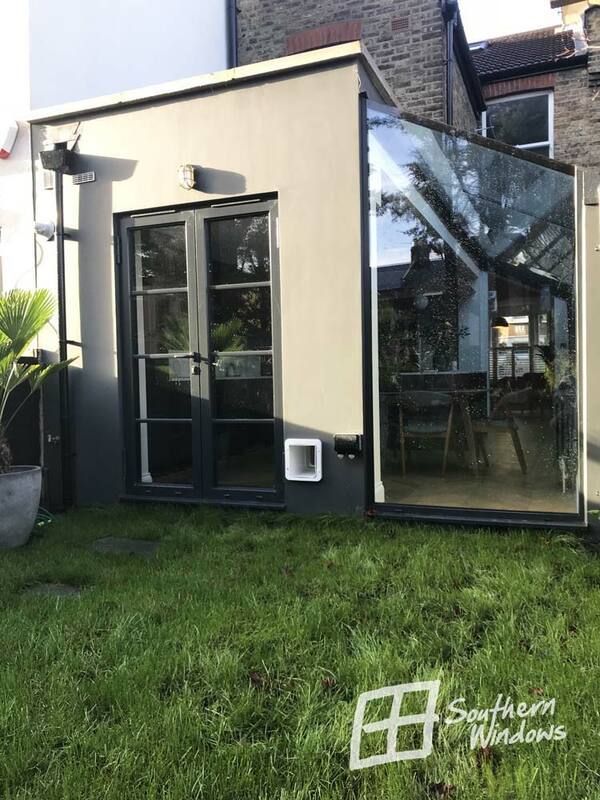 Stylish french door with horizontal Crittall-style glazing bars introduced a bit of a 1920’s heritage look. 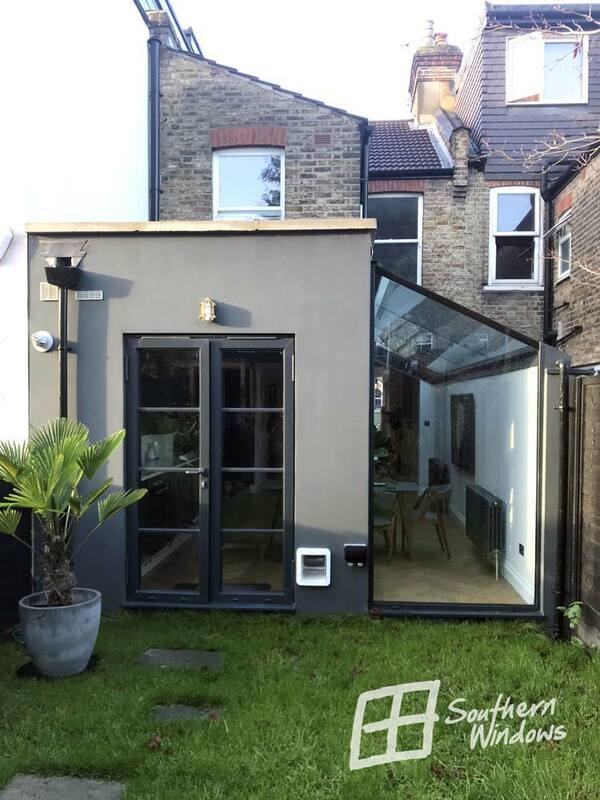 This solution was perfect to create a practical and stylish opening to the garden area, and add a bit of characterful aesthetic that works very well with this property.